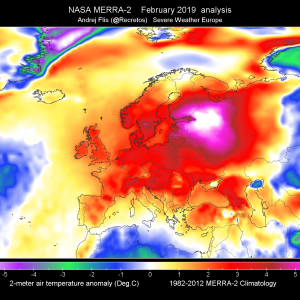 An established omega blocking pattern with extensive surface high pressure system dominates Europe. 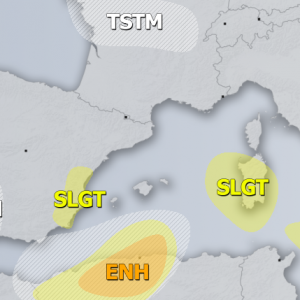 On its eastern flank a short wave trough with a cyclone is pushed across the Black sea while short wave moves across the British Isles. 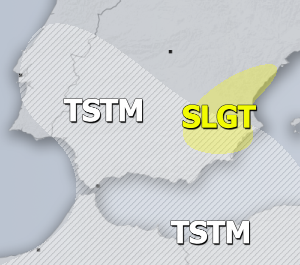 A WNTR risk has been issued for areas along the E Black Sea over extreme SW Russia into NW Georgia with threat for excessive snowfall. 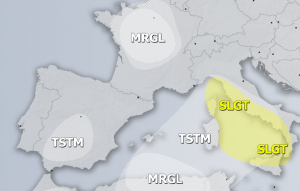 30-50cm are possible in the higher elevations. 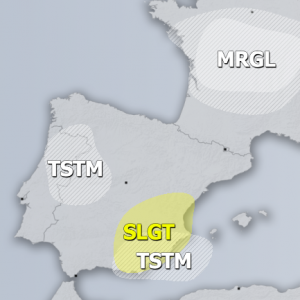 A TSTM risks have been places where isolated storms are possible across NW Mediterranean towards Pyrenees, W of Iberian Peninsula and NW of British Isles. No severe threat is expected. 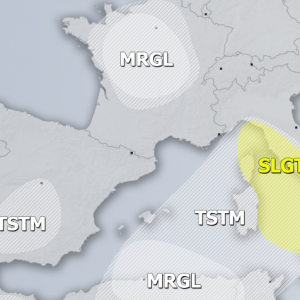 Some additional excessive rainfall is likely into far S France but less robust than on Tuesday.